CQ Stones One essential element of slab quality is color match. Since the slabs are 93% natural quartz, the composition of PolarStone produces slight color variations between production cycles due to the innate and complex blending of natural minerals – a characteristic inherent in the product. Yet a batch number is given to eath slab, the batch number is on the label affixed to all slabs. Classic Quartz Stone provides you a wide variety of quartz slabs to choose. Here you can download the finishing works of quartz slabs and the detail material of CQ Stones. 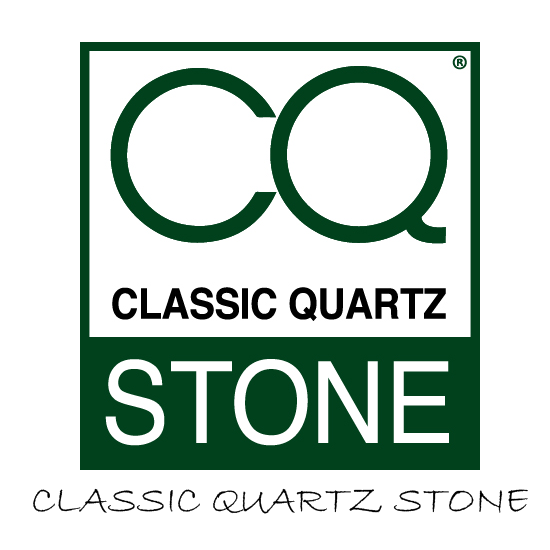 Classic Quartz Stone has vetted fabricators in all parts of the United Kingdom. These fabricators have been carefully selected by carrying out physical inspections of the fabrication plants, commercial due diligence and customer service. This ensures that our customers are getting the very best service always. To help you find your local fabricator, please fill in the form on our contact page and we will get in touch with you within 24 hours. What’s the best way to maintain CQ Stone’s natural beauty? Simply wipe with warm water and soap, using a damp cloth or paper towel. There is no need to worry about grease, grime, hairspray, or messy makeup pills. Classic Quartz Stone slab is easy to care and will maintain its luster for many years to come. What about removing stubborn or dried spills? Use a soft cloth with warm water and mild soap or detergent. If needed, apply common, nonabrasive household cleaner such as Soft Scrub® Liquid Gel with Bleach. To avoid dulling the surface’s shine, make sure to use a nonabrasive cleaner and use circular strokes when applying any cleaner to the surface. Thoroughly rinse the surface with clean water after cleaning agent is used, and dry with a soft cloth. How durable are CQ slabs? Classic Quartz slabs are resistant to cracks, scratches and stains. However, like most materials, excessive force and/or pressure from objects can damage or dull the surface. CQ slabs are resistant to most stains caused by fruit juices, liquid food coloring, coffee, tea, wine and vinegar. CQ Stone’s nonporous nature provides maximum resistance to staining and fully eliminates the need for any sealing. The nonporous quality of the slab surface also prevents bacterial growth. Is it okay to cut on CQ Stone countertops? While the surfaces are scratch resistant, it is strongly recommended that a cutting board is always used. What is the best Way to maintain the finish on CQ Stone countertops? Polished: Due to its high density and nonporous qualities, normal cleaning with a damp cloth will keep a CQ slab surface looking like the first day it was installed. To avoid dulling the shine, use a nonabrasive cleaner. Honed, Textured and Mirror Finish: Please note that these finishes require more daily maintenance than our polished finishes. Since there is more exposed surface area with these finishes, metal marks, fingerprints and other signs of daily living will show on the material. Most of these marks can be easily removed with little effort and nonabrasive cleaning products. How well does CQ Stone withstand heat? CQ Stone slabs are structurally more heat resistant in comparison to other stone, including granite. However, any stone material can potentially be damaged by sudden and rapid temperature changes, especially near the edges. Therefore, using inexpensive and readily available hot pads or trivets is always recommended, especially when using cooking units such as electric frying pans, crock pots, or roaster ovens, It is advised that hot pans not be placed directly on the material. Is caring for my CQ Stone surface really this easy? CQ Stone’s carefree maintenance and everlasting benefits and performance allow more time for the things that matter most to you. Whether you selected CQ slabs to be your “surface of choice” for food preparation or simply to beautify your home, you can enjoy the peace of mind knowing that CQ slab is completely worry-free. Can CQ Stone be used outdoors? While some customers have opted to install CQ slabs in outdoor applications, this use is not covered by our 10-year Warranty.